Cambodia’s garment workers are working themselves to death—literally, according to IndustriAll Global Union, a labor-rights group that supports 50 million workers in 140 countries in the mining, energy, and manufacturing sectors. Unrelenting hours, close quarters, and chronic malnutrition as a result of “poverty pay,” have contributed to a near-epidemic of mass faintings in factories across the Southeast Asian nation. 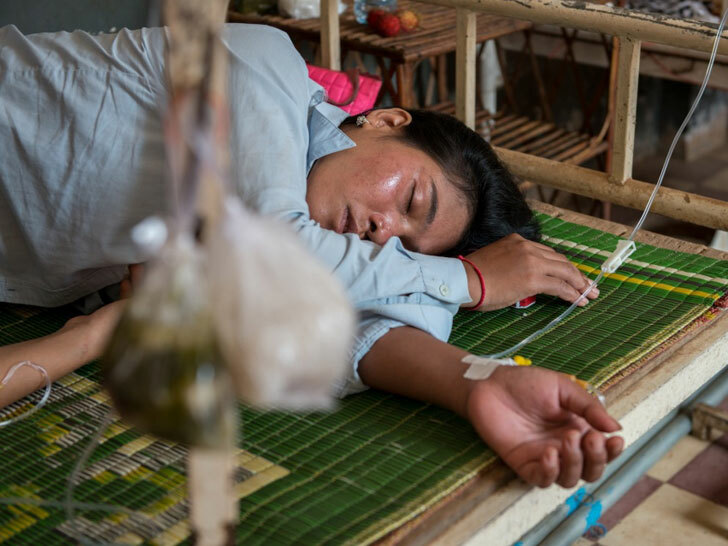 Now, workers are actually dying at work, says Sokny Say, a member of the Free Trade Union of Workers of the Kingdom of Cambodia, an IndustriAll affiliate. Two workers employed at factories outside Phnom Penh died at the end of July. Nov Pas, a 35-year-old seamstress who spent four years making clothes for Western brands such as Gap and Old Navy, lost consciousness at her post in the Korean-owned Sangwoo factory at 8 a.m. on July 24. By 9 a.m., she had been admitted to the nearest provincial hospital, where she was pronounced dead about nine hours later. Despite cases of mass faintings in the past, 2014 marks the first time garment workers have died on the job. Garment worker Vorn Tha, 44, collapsed and died at the New Archid factory, which manufactures clothing for H&M, after working 13-hour days. A third garment worker, employed at Cambo Kotop, a factory in Phnom Penh, died in March, IndustriAll adds. 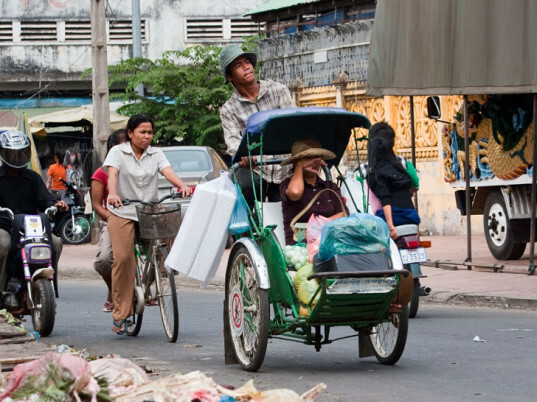 Raina calls for an increase in the Cambodian monthly minimum wage, which currently stands at $61—or 25 percent of what constitutes a living wage in the country. “We continue to back Cambodian unions’ demands for a raise in the minimum wage so garment workers can afford enough food to live on and no longer have to work such punishing overtime hours to survive,” Raina says. This is the work my wife used to have to do having to leave home at the age of 15 to help support her family. She worked 11 hours a day 6 days a week, unless they were real busy, then it was 7 days a wk and 16 hours (no choice). No talking, no eating, if they used the bathroom they were yelled at by there chinese lecherous boss. All for $50 US dollars a MONTH. She sent all here money to her parents, in kompong Thom were the were rice farmers. After the factory work she worked for the family business owned by the people in the home where she slept on the couch. For meals she washed the dishes and was given the left over food, sometimes only bones and rice. She didn't complain just the opposite she was very grateful to them and remains close to the family. Which is a turn of fate she has lent money whenever they have needed. I think I am about to reconsider shopping at H&M. This companies are making a lot of money and they don't give a damn about their workers.